​Amara Strutt performed her first burlesque act at the age of two for an audience of extended family and friends at thanksgiving dinner. Shortly thereafter she enrolled in Ballet and Jazz classes and this love of dance coupled with an obsession for making fancy costumes and a flair for drama lead to a Bachelor’s degree in “Pre-Burlesque” (Choreography/Design/Acting) from the University of NH. 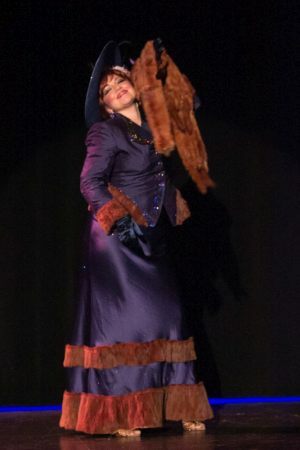 After graduation she traveled around the country performing and costuming until she eventually settled in Seattle. In 2014 she enrolled in Burlesque 101 and ended up discovering both an art form and a tribe of kindred spirits. Amara has a passion for sharing her skills both onstage and off and is thrilled to perform regularly around the Pacific Northwest and to be the latest addition to the teaching staff at Miss Indigo Blue’s Academy of Burlesque!